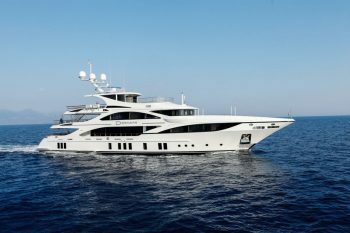 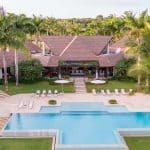 With an extraordinary mix of luxury, elegance and tranquility, and spectacular sea views as a welcomed bonus, the $12.8M Villa El Palmar has been overwhelming everyone since 2006. 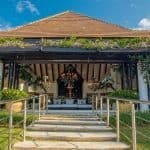 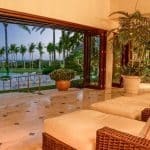 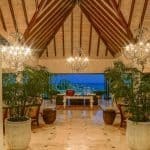 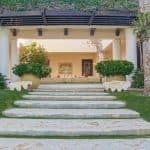 Found in the Dominican Republic, this breathtaking villa looks like the kind of home Fast and Furious characters would retire after their next big hit, although there’s no sign of outrageous custom cars anywhere in sight. 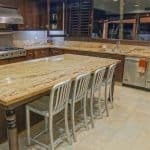 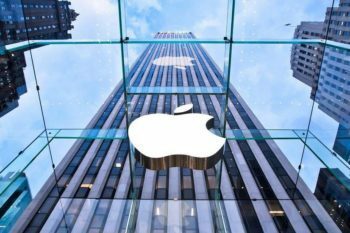 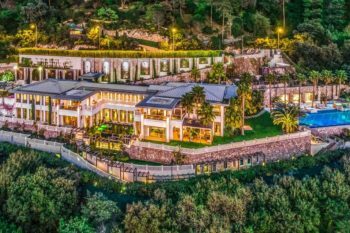 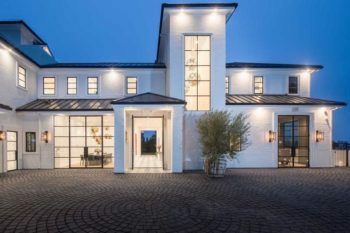 Sure, it may cost quite a lot to call this beautiful property home, but its 10 bedrooms, 10 bathrooms and 18,998 square feet of luxurious living areas seem like a good start to justify that price tag. 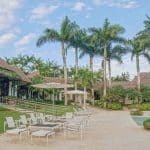 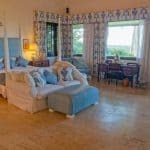 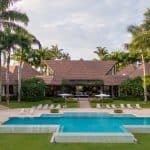 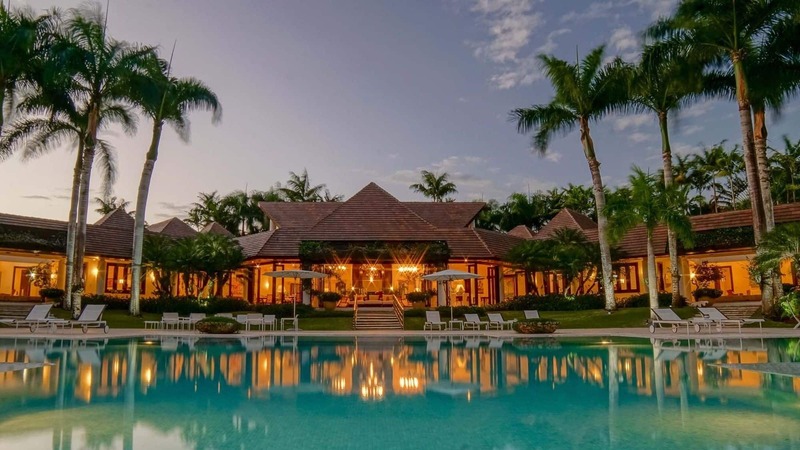 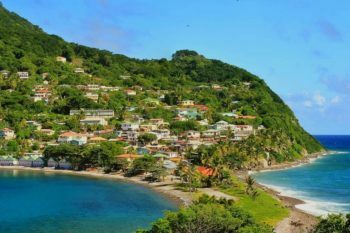 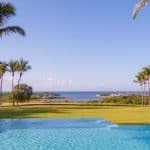 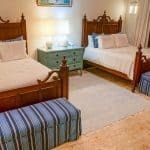 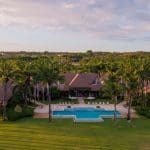 The wonderful Villa El Palmar also allows its owners and their lucky guests to enjoy the privilege of glancing upon the Turquoise Blue Caribbean Sea, the Majestic Chavón River and the picturesque Dye Fore golf course. 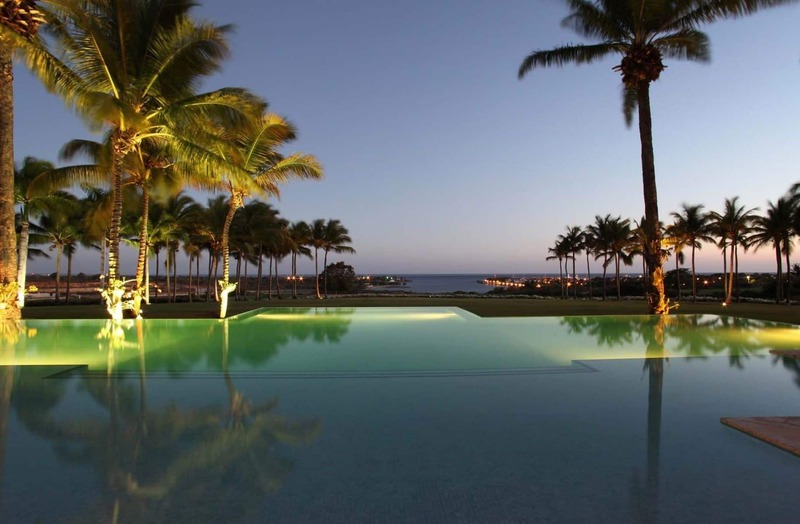 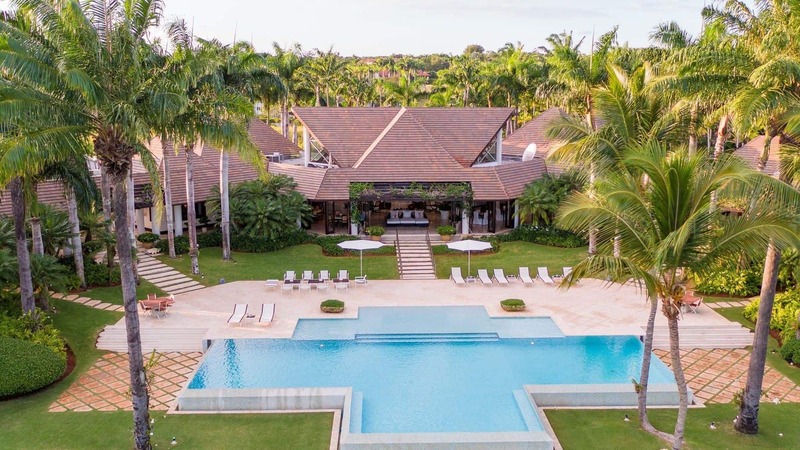 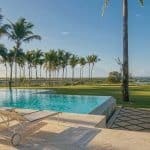 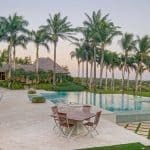 Palm trees and endless vistas of greens, whites and blues complement this charming villa, considered by many people the most amazing home in all Casa de Campo. 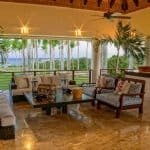 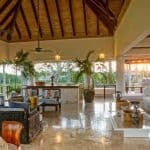 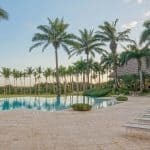 Villa El Palmar benefits from an impressive dining room, various outdoor dining areas and a massive master suite, while the outdoor swimming pool, bar area, hammocks or the large open family room will impress even the pickiest of people. 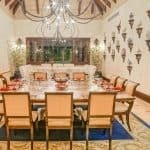 Vaulted ceilings with dazzling chandeliers and a huge media room with massive flat screen TV will try to keep you indoors, although I can’t imagine why would anyone do that. 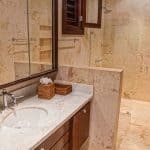 Nonetheless, designer bathrooms, bespoke furniture and décor, as well as a stunning and completely packed chef’s kitchen make Villa El Palmar the ultimate home. 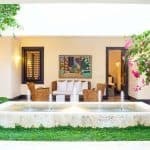 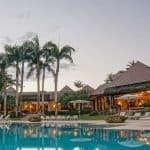 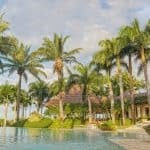 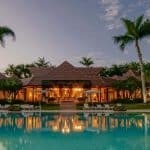 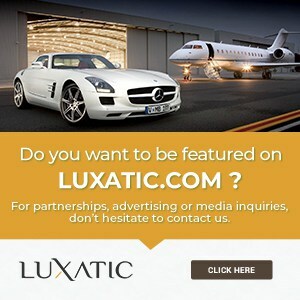 Are you ready to move to the Dominican Republic?